Summer is the perfect time to explore the French capital by bicycle and admire the sights from a different perspective. The unbearable lightness of a bike ride in Paris could very well be the title of a movie. However, for me, it was more of a reality. A bike, a guide and the warm sun on my face in one of the world’s most beautiful cities. If you’ve never experienced the thrill of pedaling along Paris’ grand boulevards, now is the time to do so – or to at least add ‘explore Paris by bike’ to the list of 100 things to do before you die. A bicycle is the perfect way to see Paris from a different perspective. In my case, the Paris that I knew like the back of my hand suddenly emerged in a different guise: Less chaotic and more welcoming, less chic and more casual. One of my favorite cycling places in the City of Light is the Marais. This former swampland has become one of the Rive Gauche’s chicest neighborhoods and one of the city’s most expensive districts. Le Marais boasts several cycling and pedestrian areas, and a few extraordinary hidden parks such as Village St Paul. 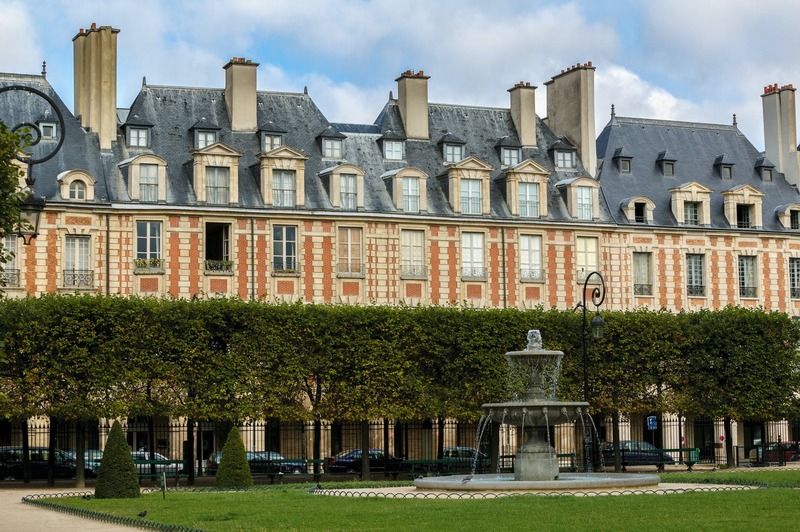 When I visit the Marais, I always stop at Place des Vosges, Paris’ oldest square and one of the most photogenic locales I’ve ever seen, thanks to its beautiful arcades and tree-lined perimeter with a magnificent fountain at the center. Pedal through the Parisian wind to the old Marché des Enfants Rouges, a covered fruit and vegetable market where different cultures and traditions blend together to create a perfect harmony of flowers and atmospheres between kebabs and croissants. If you prefer to explore the city by bike in the company of an expert, I recommend you take a guided tour to see all the popular sites and monuments in four hours. 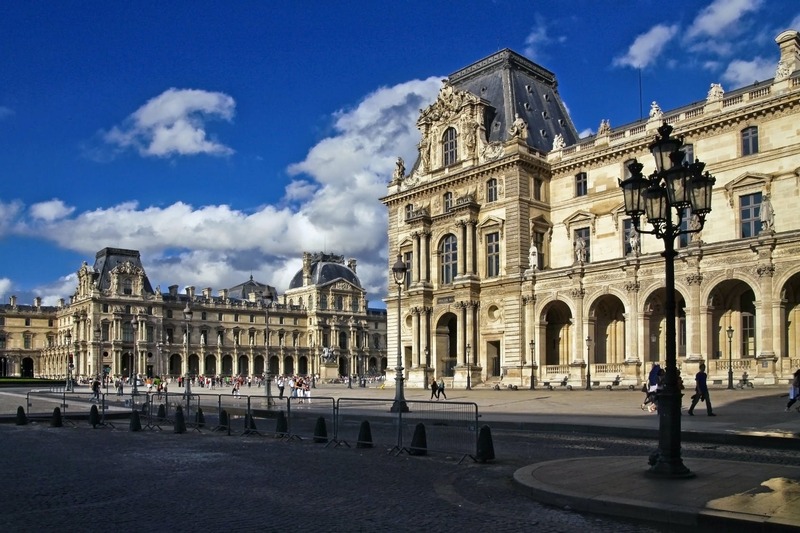 The tour, of course, stops at the Louvre Museum, a place as wonderful and iconic as the Eiffel Tower, if not more. From there, experience the wonderful feeling of pedaling along the Seine, where a fantastic bike lane was inaugurated in April 2017. 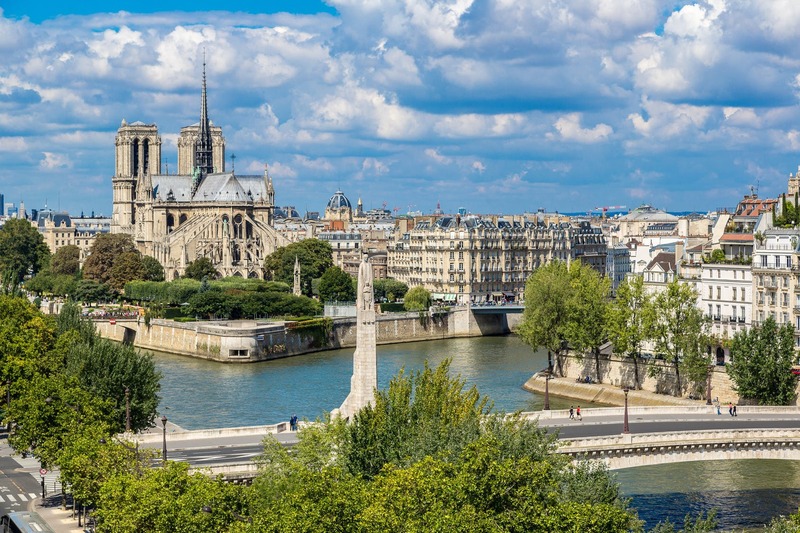 Can you imagine a holiday in Paris without a romantic ride along the Seine, strolling through the Pont-Neuf bridge, and admiring the Ile de la Cité and Notre Dame? Nope. Mamma riminese, giornalista, ciclista urbana, amante dei viaggi slow a misura di famiglia. Per gioco ha aperto il blog mammaebici.it ed ora non può più farne a meno. Nel continuo esercizio quotidiano alla felicità, la strada migliore l’ha trovata nell’arte della lentezza. E le due ruote aiutano!